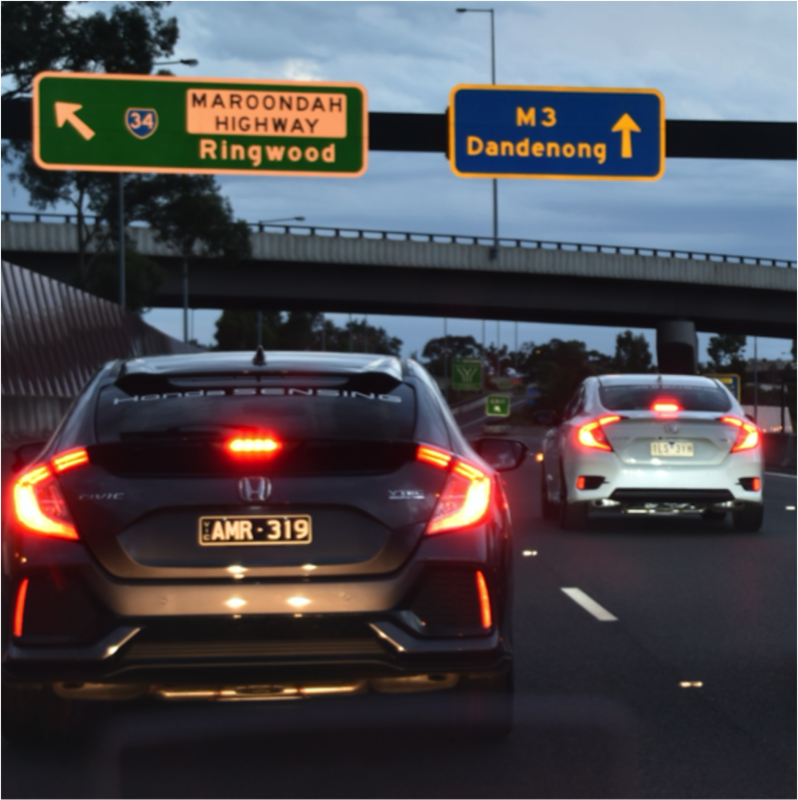 The Melbourne freeway operator EastLink has used an overnight maintenance closure to conduct a demonstration of hands-free driving with automated speed plus steering control. The test, using the adaptive cruise control and lane keep assist functions of a Honda CR-V VTi-LX was planned to help drivers in the state of Victoria gain a better understanding of adaptive cruise control, lane keep assist and other driver assistance functions. It builds on an earlier demonstration of only automated steering control through the EastLink tunnels. EastLink corporate affairs and marketing manager Doug Spencer-Roy explained, “This demonstration of automated speed plus steering control resulted from the Annual Victorian Self-Driving Vehicle Survey conducted by EastLink – the largest such survey ever undertaken – in which more than half of the 15,000 respondents rated their awareness of self-driving cars as ‘very little’ or ‘none’. “Through this demonstration of automated speed plus steering control, as well as the earlier demonstration of automated steering control through the EastLink tunnels, EastLink is helping motorists gain a better understanding of the latest driver assistance functions, and how they will evolve to make self-driving cars possible in the future. “In a number of realistic freeway scenarios, the latest demonstration showed a vehicle steering itself along EastLink while automatically adjusting its speed to ensure a safe distance was always maintained to other vehicles involved in the tests. “In one scenario representing a traffic jam caused by an accident, the vehicle was able to bring itself safely and automatically to a complete stop behind other vehicles stopped on the freeway. “Road safety will be significantly improved through the take-up and use of driver assistance functions such as adaptive cruise control and lane keep assist. When roads are heavily congested, how can you keep a safe recommended distance? But if you have some automated ‘safe distance’ what sort of reduction in vehicles per kilometre would this produce? Traffic flow levels would be halved with so much unused space between vehicles.